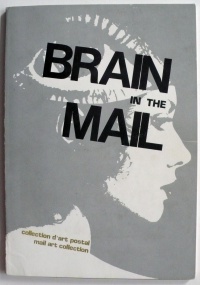 Brain in the Mail catalogue, 1979, PDF (part), JPGs (part). 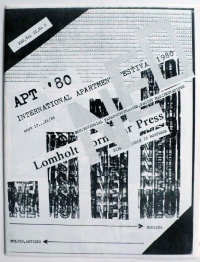 APT 80 catalogue, 1980, PDF, JPGs, JPGs. 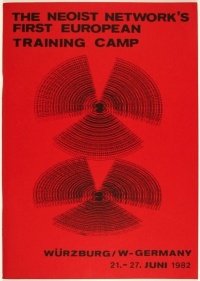 The Neoist Network's First European Training Camp catalogue, 1982, PDF, JPGs, Log. 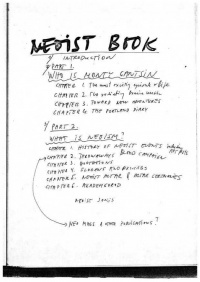 Neoist Book, 1984, PDF, Log. 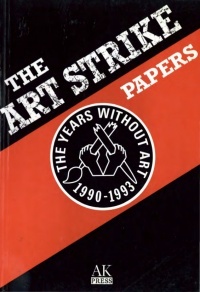 The Art Strike Papers, 1991, PDF, Log. A Neoist Research Project, 2010, PDF, EPUB, Log. Neoism was a cultural movement influenced by Futurism, Dada, Fluxus and Punk, which emerged from the Mail Art Network in the late 1970s. This section is based on the Neoism entry at StewartHomeSociety.org. The initial idea came from the US Mail Artists David Zack and Al Ackerman, but the fledgling movement found its focus in Montreal (Spring 1979). The Montreal group wanted to escape from 'the prison of art' and 'change the world'. With this end in mind, they presented society with an angst-ridden image of itself. Their activities are typified by Kiki Bonbon's film Flying Cats. Two men, dressed in white coats, stand on top of a tower block. They have with them a selection of cats. One at a time, the cats are picked up and thrown to their death. Throughout the film, the protagonists repeat the phrase 'the cat has no choice'. The Neoists tended to use the mediums of video, audio and live performance. They developed the concept of Apartment Festivals as a way of showing such work. These were week long events based in the living spaces of individual Neoists. The first of these was held in Montreal in September 1980. Subsequent Apartment Festivals took place in Baltimore (twice), Toronto, New York (twice) , London, Ponte Nossa (Italy), Berlin and Montreal (twice more) . By the summer of 1981, the centre of Neoist activity had shifted to Baltimore (Maryland, USA) and was focused on Michael Tolson (who worked under the names Tim Ore and tENTATIVELY a cONVENIENCE). Tolson is self-described as a 'mad scientist/d composer/sound thinker/ t hought collector/as been & not an artist'. He is best known for his Pee Dog/Poop Dog Copyright Violation, which he performed on behalf of the Church of the SubGenius in September 1983. The event made national news when Baltimore police discovered him stark naked beating a dead dog in a railway tunnel, with an audience of 35 people watching. The Neoist Network held its first European Training Camp in Würzburg, Germany, in June 1982. 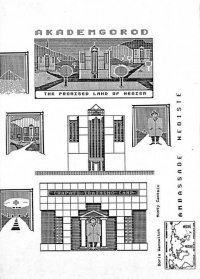 This led to the involvement of the Scottish artist Pete Horobin, who went on to organise the 8th Neoist Apartment Festival in London (1984) and the 9th Neoist Festival in Ponte Nossa, Italy (1985). However, after a few years of frantic activity, all the members of the small British group renounced Neoism. Another large Neoist event was the 64th (sic) Apartment Festival organised by Graf Haufen and Stiletto in Berlin, December 1986. The Seven by Nine Squares, ed. Monty Cantsin, 1995ff. Neoism.info, , ed. Monty Cantsin, 2006ff. tENTATIVELY, a cONVENIENCE 's Neoist Movies, 1981-2016. 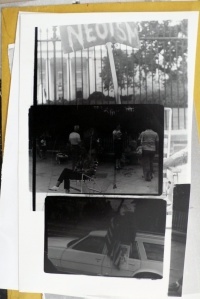 The First International Apartment Festival (APT 80), No-Gallery, Montreal, Sep 1980. Photo documentation. further 13 Apartment Festivals, 1981-95. The Neoist Network's First European Training Camp, Würzburg, West Germany, Jun 1982. APT '80, ed. Monty Cantsin, Montreal: Monty Cantsin, 1980,  pp, JPGs, JPGs. Event. The Neoist Network's First European Training Camp, Würzburg / W - Germany, 21-27. Juni 1982, Würzburg: Kryptic Press, and Montreal: Centre de recherche Neoiste, 1982,  pp. Event. The Neo, 10+2 numbers, ed. Monty Cantsin, Montreal, 1979-81. Last two numbers published with the title Organ. PhotoStatic, 41 numbers, ed. Lloyd Dunn, Aug 1983-Jan 1993. Retrofuturism, 11+6 numbers, ed. Tape-beatles, Jan 1988-Apr 1993. Yawn, 45 numbers, Sep 1989-Mar 1993. Re:Action newsletter, 10 numbers, ed. Stewart Home, Winter 1994-Spring 1999. Psrf, 2 numbers, ed. Lloyd Dunn, Oct 1997-Oct 1998. Neoist Book, ed. Monty Cantsin, Canada, 1984. 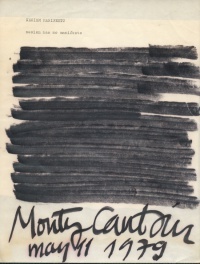 Monty Cantsin, Neoism Now!, Berlin: Artcore Editions, c1987,  pp. Audio complement, . How to Explain Neoism? Anthology of Pamflets 1978-1990, ed. Monty Cantsin, New York: Neoist Front, 1990,  leaves. The Art Strike Papers / Stewart Home: Neoist Manifestos, eds. James Mannox (ASP) and Simon Strong (NM), Stirling: AK Press, 1991, 52+44 pp. 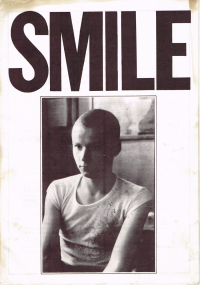 A collection of essays and statements concerning the Art Strike 1990-1993, together with manifestos mostly dating from 1984-85.
in Justified Sinners: An Archaeology of Scottish Counter-Culture, 1960-2000, Polygon, 2002. 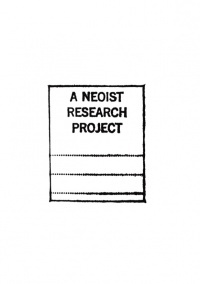 A Neoist Research Project, ed. N.O. Cantsin, London: OpenMute 2010, 246 pp. Stewart Home, Neoism, Plagiarism & Praxis, Edinburgh: AK Press, 1995, 207 pp. Stewart Home, Florian Cramer, The House of Nine Squares: Letters on Neoism, Psychogeography and Epistemological Trepidation, London: Invisible Books, 1997. Cynthia Carr, "The Triumph of Neoism: The Last of the Old-Fashioned Avant-Garde Makes Its Stand", Village Voice, 13 Dec 1988; repr. as "The Triumph of Neoism", in Carr, rev.ed., Wesleyan University Press, 2008, pp 105-111. Stewart Home, "Neoism", ch 16 in The Assault on Culture: Utopian Currents from Lettrisme to Class War, London: Aporia Press and Unpopular Books, 1988; 2nd ed., AK Press, 1991. Al Ackerman, "Origins of Neoism Illuminated", Photostatic 38, Oct 1989, pp 1415-6. Géza Perneczky, "With Love and Sabotage", in Perneczky, The Magazine Network: The Trends of Alternative Art in the Light of Their Periodicals 1968-1988, Cologne: Soft Geometry, 1993, pp 152-175. "Neoists", Super! Bierfront, Jul 1996. Craig J. Saper, Networked Art, University of Minnesota Press, 2001, pp 49-51. Tatiana Bazzichelli, "Multi-identity, Neoism and Luther Blissett", in Bazzichelli, Networking: The Net as Artwork, Aarhus: Aarhus University, 2008, pp 43-56. Tatiana Bazzichelli, Networked Disruption: Rethinking Oppositions in Art, Hacktivism and the Business of Social Networking, Aarhus University, 2011, pp 74-86. PhD dissertation. Lomholt Mail Art Archive, Denmark. This page was last modified on 29 November 2017, at 17:04. This page has been accessed 35,405 times.